We made an announcement last week about what conferences we’ll be attending this fall. You may have noticed that in addition to attending SMX East, we’re doing coverage again this year. SMX East is known for the quality of its speakers and the depth of content in the sessions. During the conference we’ll be taking that a step further and digging into hot industry topics and recent search trends with a few industry leaders. We’re always experimenting with new coverage formats, and this year we’re presenting our look behind the scenes as an interview series. We’re kicking it off today with an interview with the lovely Akvile DeFazio, who is the Internet Marketing & Advertising Operations Manager at Third Door Media, the company behind Search Engine Land, Marketing Land, SMX, and Digital Marketing Depot. Akvile is a powerhouse behind the scenes. You probably won’t catch her standing still during the entirety of SMX East, but we were able to catch up with her about her work at Third Door Media, her favorite parts of her job, and her bucket list. Your role at Third Door has grown quite a bit since you began, how many hats do you wear today? Oh, it surely has. Currently, I wear three hats, but always help my team where needed, even if it’s outside of my primary roles. We’re a tight-knit family here at TDM. As far as the hats I wear, I switch it up between B2B and B2C each day. For the B2C-related tasks, I’m responsible for our paid advertising campaigns via search and social channels for our Search Marketing Expo conferences. 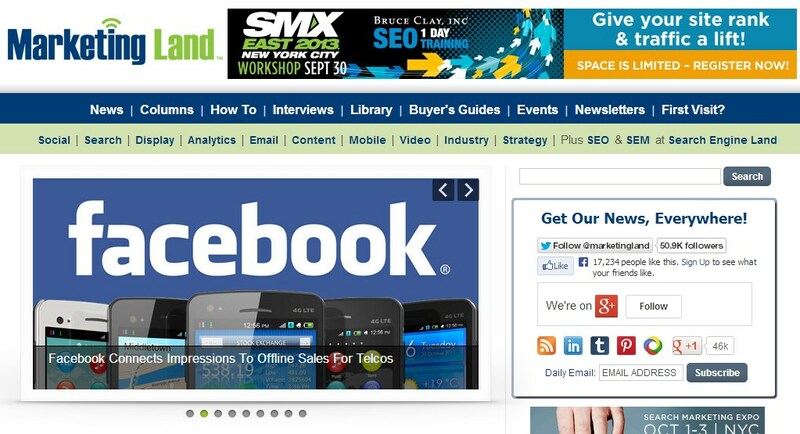 I also manage all of our social media marketing efforts for SMX. As of the last year or so, I’ve also taken on our B2B advertising operations, where I work with a variety of clients and manage their advertising campaigns on Search Engine Land and Marketing Land. What does your day to day schedule look like with regard to balancing all of these different roles? How do you partition your time so you can get everything done? Every Monday, my team and I meet to share reporting results for our individual channels, go over our marketing project list, discuss new ideas, and touch base about everything coming up and currently going on. It’s a great way to start off the week. My mornings begin with a French press filled with coffee and headphones glued to my ears, then I begin to dig into reporting for all paid advertising efforts for SMX and clients. I also answer and compose many emails throughout the day, check in on social channels to answer questions and share posts, and jump on calls with clients and colleagues. I usually do reporting and more analytical tasks in the mornings, and prefer to do all the ad copy, creatives, and social tasks in the afternoon. I think I have a more analytical mindset in the morning when I get up first thing and drink a lot of coffee. And then I think towards the end of the day I can use the other side of my brain and get a little bit more creative when it comes to ad copy and doing some social stuff. If I have a big task and I finish it, I peek at our social channels just to answer any questions or see what’s going on. I’ll usually start work at about 7:30, but no later than 8:00 a.m. I’m on the west coast, but a lot of my co-workers are on the east coast, because we all work remotely, so since my boss is on the east coast I like to have a few more hours in the day just to kind of be online and chat with her about any projects that are ongoing. So what’s it like to send someone to SMX East? Why do businesses need to be at SMX? Before I got hired at TDM I attended two SMX shows with my prior company. I was doing paid research at the time, and the only resources I had were online. That was the only thing available that I could learn and teach myself, since I didn’t have anybody at the time who would teach me the ropes. So although that was really helpful I didn’t realize how much more I could learn by attending a conference until I went to SMX. And looking back I don’t think that my career would be where it is now if I didn’t attend when I had gotten a chance to go. I learned from a lot of seasoned marketers. And I think that we’re really lucky to have such a wonderful and helpful industry. The community’s really stellar and I’m just really grateful that I got to attend when I did, because I made a lot of friends and partners and mentors, and I even got a job at SMX. As for why businesses should attend, I think you can only learn so much by reading online. It’s a completely different learning experience to attend a show; you can ask all the questions that have been building up that you couldn’t find answers to, you can rub shoulders with other marketers, and gain a tremendous amount of knowledge to add to your own marketing tool box. What is it about SMX East that sets it apart from other conferences? SMX East has a really strong focus on search, and we make sure to cover all the current issues that marketers are facing. The agenda’s carefully crafted by our Search Engine Land programming team, and we always pick the most compelling presentations that we think will be valuable to our attendees. Aside from three days of practical sessions and a keynote from Twitter, we have an agenda filled with plenty of other goodies, like networking events. As of SMX West earlier this year we started doing this SMX orientation, so if you’re a first-time conference attendee or just a first-time SMX attendee, we want you to get the most out of your time at the conference. Following that, we have a “Meet and Greet” to kick off the conference. We have a “Meet Your Neighbor” networking breakfast table, in which you can sign up to have breakfast with somebody in your geographical location, so then after the show you can find people in your city, or in your state that you can connect with and continue to talk about marketing or business or just make friends with after the show. We also have various other lunch topic tables. During lunch you can pick a topic, whether it’s analytics, or Google-enhanced campaigns, and discuss a certain topic while you have lunch. We also have an expo hall reception, and to close off the week we also have our SMX After Dark Charity Party, which is sponsored by Yext, so all the donations will be going to the Boomer Esiason Foundation for fighting cystic fibrosis. We value that our attendees come to our shows and they take time out of the office, so we provide free WiFi, free shuttles from the Javits Convention Center to the Sheraton at Times Square, breakfast, hot and delicious lunches, plenty of snacks throughout the day, and all the refreshments and caffeinated beverages you might need to stay quenched and powered. What are the hot topics at SMX East this year? I think the hottest ones will probably be the one session on “The Most Important Search Ranking Factors” (since algorithms always change), “How to Super-Charge your PPC Results,” and “Leveraging Big Data,” there’s a lot of social tactics and local search must-haves that we’re going to discuss. When you spoke at the orientation a year ago, was that your first time? Are you doing it again this year? How do you prepare for that? I know that you were so nervous about it, and you shouldn’t be because you’re awesome. Does having spoken help you empathize when working with speakers? Speaking is not my forte, but to prepare for it, my boss, Kendra and I created a PowerPoint presentation, we practiced as much as we could before the actual presentation, and felt prepared since we knew the content. Before the actual presentation, I had to do another run through before my boss and our CEO. I was quite nervous but we ended up presenting to a packed room and got a really positive response from it. I really admire public speakers and because so many that I look up to have told me they get nervous as well, but you’d never notice. It’s quite a talent, that’s for sure. It just takes a lot of practice and knowing the subject matter. What SMX speakers or industry mentors have shaped your marketing, or your work that you do with Third Door? Is there anyone who has been particularly influential? Oh wow, this could be a very lengthy list. There are so many people, especially since I’ve been attending for so many years, but I’m a huge fan of Matt Siltala, Rae Hoffman, Ric Dragon, Casie Gillette, Annalise Kaylor is really great, and she started popping up on the conference circuit this year. Mark Traphagen when it comes to developing Google Plus, Rob Bucci, Annie Cushing, and most definitely you, Rhea. And in terms of industry mentors, I would have to say that Marty Weintraub from aimClear has been a fantastic mentor and has become a friend over the last year. Especially when it comes to all things Facebook, he’s just super intelligent and filled with super creative marketing tactics, not to mention he’s probably one of the most animated speakers out there. As part of your role at TDM, you handle many advertisers, how do you manage relationships and expectations with your B2B clients that you have? We have one main goal in mind: deliver what we promise to our clients. We keep an open line of communication between everyone involved, and it’s usually the salespeople, the client, and me, since I do all the scheduling and reporting for their creatives. We just make sure to be transparent. I think that’s the most important way to build a positive and lasting relationship. Between Search Marketing Land, Marketing Land, SMX, and Digital Marketing Depot, we have a variety of deliverables for our clients. We usually like to get really creative, depending on what the client wants to achieve, so we can run text and display creative, host Webcasts, white papers, set up booths at our conferences, and a variety of other things, depending on what the client wants, and then we’ll give them feedback. Mainly we just want to maximize the clients’ return. How do you get inspiration for your ad copy? Is there ever a moment where you decide to do something just for fun and it’s a little out of the box? Where do you come up with the ideas that you do, or do they come from the clients themselves? It’s usually from me. It’s really the client work, they’ll usually provide ad copy, but if I think it will resonate better in a different way, I’ll suggest something else that we can test. And sometimes they’re all for it and sometimes they just prefer to run with their own, just to stay consistent with their own advertising efforts on other channels. But when it comes to SMX stuff I usually try to see what’s trending and what people are having issues with, or whether it’s answering a question, or sometimes I’ll look at previous pictures that we have from other shows, and if somebody’s doing a certain gesture in the photo I usually try to line that up with some ad copy to kind of give it a little visual effect. I know you guys do a lot of retargeting. I’d love to know what’s your experience been with it, and are there any tips to it, or secrets of the trade when it comes to retargeting? Because I see your ads everywhere and they’re very creative and they definitely catch your eye. Oh, thank you. Sorry for stalking you. When it comes to retargeting, over the last two and a half years I’ve been at SMX doing all their page stuff, I’ve tested a variety of channels and I’ve narrowed down which ones will work best for us depending on how many people will actually convert from them. I think that one of my favorite things, I don’t know if this works for everybody, but I think a Facebook exchange works extremely well because Facebook is a marketer’s gold mine. You can target so precisely. There are some third party programs that we use, like AdRoll, which you can do that through. And they’re really easy to work with, you can alternate your text very quickly and switch it out, or if you want to do text or display. Just make sure that you have a frequency cap, because you don’t want to show it too often. But we basically started with a lot of channels when we first began, and they’re down to the ones that work best for us, we don’t use as many now, but we do maximize on our returns, so it’s good to test and see which networks work best for you. Have you had any ads get turned down? Yes, there have been some. When doing retargeting through Google they’re a lot pickier when it comes to ad approval. I’ve never had issues through other networks that I’ve been using, but Google. I don’t know if you’ve noticed, but some of the ads that we’re running right now are football based, and they for some reason didn’t like them because of the content. And I’ve tried to resubmit them and change it, but I’ve narrowed it down to it might be the image on them that they don’t like, and they also didn’t like you using terms like “Google” or “Twitter,” or other branded terms in your ads. We just started running the Free Expo+ SMX banners, and they rejected those because I think that they say Google and Twitter in them. That’s certainly a marketing challenge. Along those lines, what part of your job at Third Door Media is the most challenging or most rewarding? Good question. Oftentimes, I think the most challenging thing is going to be the most rewarding at the end of the day. It is challenging to wear this many hats, because it’s kind of three jobs in one, but learning to balance everything has taken time but it also keeps me on my toes. I have to maximize the return on all the channels that I manage, and I really enjoy that I get to switch it up because I can choose the right and left side of my brain. Akvile, you have your own site, listpiration, how’s your bucket list coming along? So far, so good. It’s gotten a really good response. It’s exciting. It’s just taken me a few years to figure out what to blog about, but doing it actually on my own now, I just see how much work goes into maintaining your own site and keeping up with copy and just keeping people engaged. It’s a really interesting learning project and I’m glad that people are enjoying it so far. Can you tell us a bit more about checking things off of your bucket list? 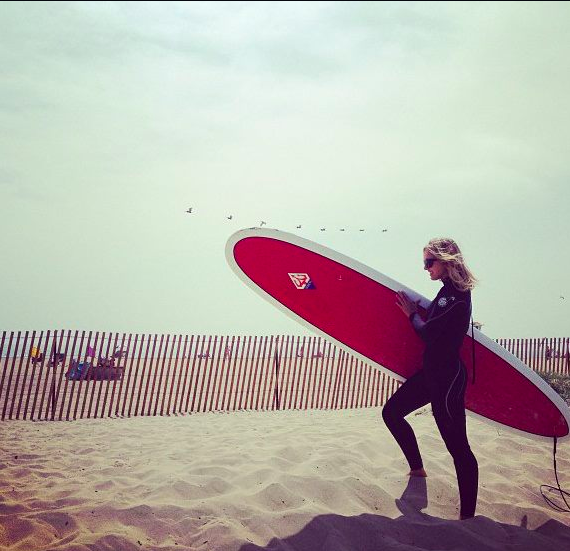 What was it like to go surfing for the first time? As for surfing, it was amazing! I was quite nervous because I had never swam out into the ocean that far. Before heading out to catch some waves, I booked a lesson in San Diego earlier this year while on vacation so I could learn. It helped having a really great instructor, showing the basics on land, then in the water, and then let me go on my own. I’m still a bit nervous going out into the water each time but once I’m out there, it’s so serene. It’s an interesting combination of being slightly worried and also calm. The ocean is a powerful thing but it’s also really beautiful. You just have to be aware of your surroundings and know not to go into waves above your experience level. If you register for SMX East before September 30, you get $100 off. They are also offering free Expo+ passes for online learning. 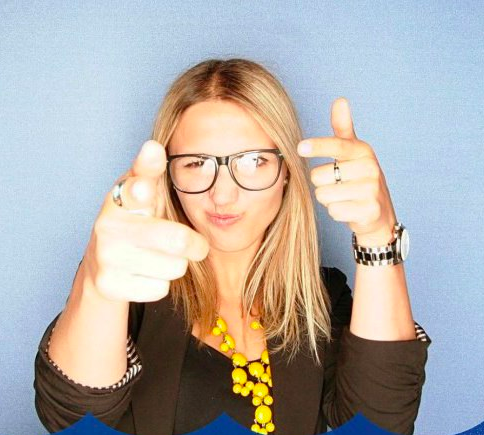 If you happen to catch Akvile at the conference, be sure to say hi and ask her how her bucket list is coming along.